For those in the field and on the go, we’re always at the ready. We handle, protect and deliver medical devices in all shapes and sizes. We’ve been making cases since before the Wright Brothers first took flight. A case for everything and everything in its case. C.H. Ellis is a leader in the production of industrial plastic cases and sewn cases for industry, agriculture, business and commerce, military and government applications. Our client list includes many Fortune 500 companies. We manufacture a wide range of industrial plastic cases, tool pallets and sewn or zipper cases in our 56,000 square-foot facility near downtown Indianapolis. C.H. Ellis is very reliable, responsive and willing to do whatever it takes to meet our requirements. C.H. Ellis treated us a business partner rather than just a customer. Even when we had very difficult delivery requirements C.H. Ellis almost always got us the products we needed when we needed them. They worked with us on forecasting solutions that helped them to respond more quickly to our requests. C.H. Ellis knows their industry well and has been an invaluable resource to help Hamilton Exhibits provide excellent customer service to the clients we serve. The partnership that we have with C.H. Ellis is a true partnership. We approach all of our projects together and work towards deciding if it is a good fit for both of us. This company is very professional and easy to work with. They produce an excellent product, quickly & cost effectively. I would not hesitate to recommend C.H. Ellis to anyone looking for shipping cases, custom or otherwise. C.H. Ellis personnel visited our facility to view our products and talk to our customers before designing a product for us. I appreciated their effort to make a personal visit rather than performing all transactions by phone or email. We recommend C.H. Ellis every day. If we have a customer looking for a custom or stock case, C.H. Ellis is the first call we make. 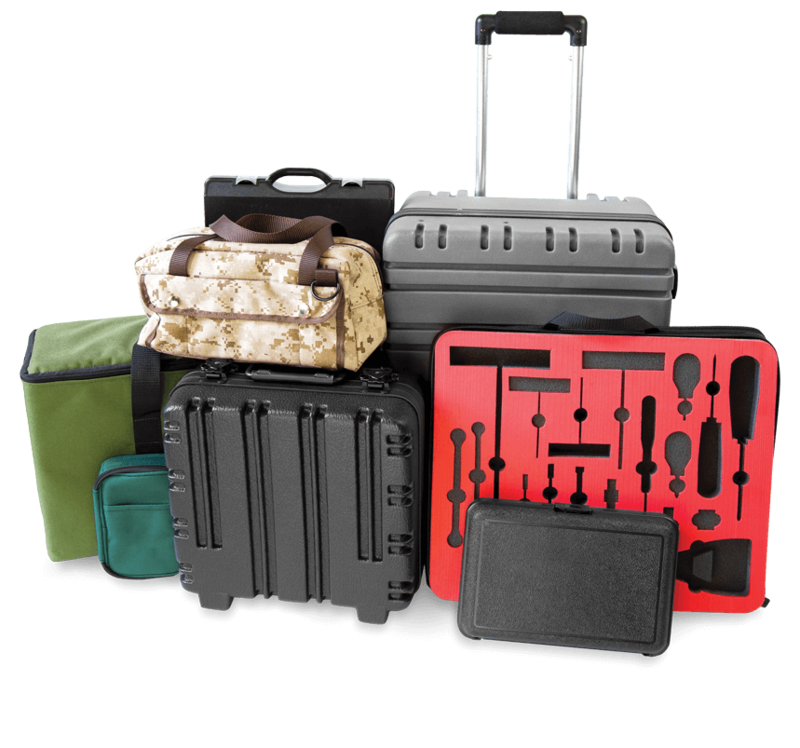 Our diverse product offering includes tool cases, carrying cases, military cases, rolling cases, custom aluminum cases, and shipping cases, including ATA-rated cases. Our attention to detail continues inside our cases as well. To provide the best protection for or display of your products, we offer interior custom packaging solutions, using polyester and polyethylene foams along with anti-static and heat-laminated foam. We also provide custom-stitched pallets, custom metal inserts or thermally formed inserts.